Videos, campaigns, instructionals and commercials filmed by our in-house cameramen / lighting team. McDonald’s AU and Truman Films recently in the studio filming a tease test of the new beef McWrap. Directed, edited and produced: Graeme Robertson ‘The Story of Us’. Custom black background using 180 angled black paper cyc. 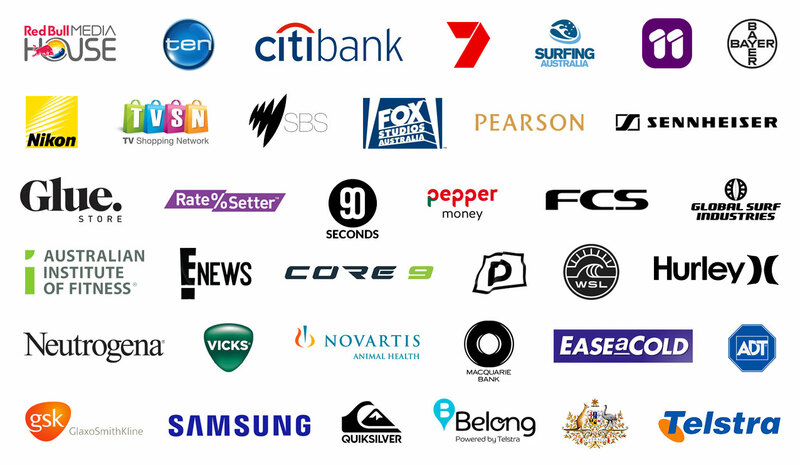 Both these TVC’s recorded in our Studio in Manly. Voice over recorded in our sound-booth. Example of green screen composite with animated graphics. Example of screen composite and product video. Example of green screen composite into virtual interactive website. Example of green screen composite. By various local production agencies. SBS & Viceland film the teaser for thier sketch comedy program in our studio. For too long, The Hunger Games franchise has been a successful series of films with a strong message to people of all ages. Well, we here at SBS have had enough of that, so we decided to take on the multi-million dollar franchise with some no-budget spoofs. You hear us, Jennifer Lawrence? We’re coming to get that Oscar® from you! See here an episode of Chanel 10’s ‘The Living Room‘ filmed in our studio with Amanda Keller. 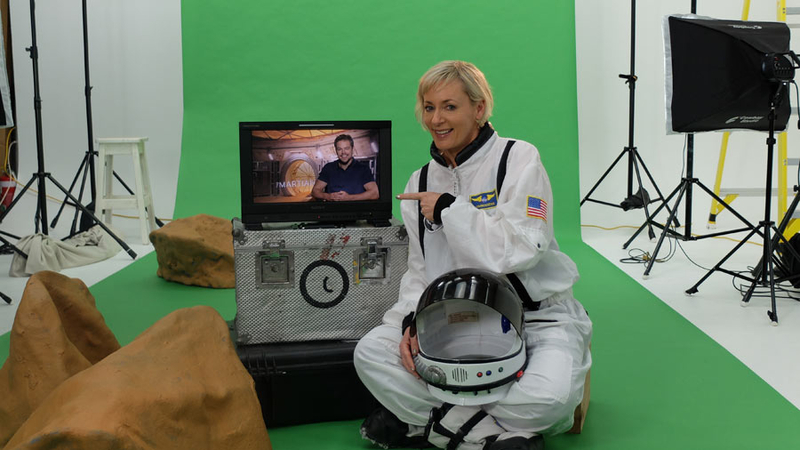 Amanda Keller was super imposed onto a outer space landscape using our green screen and in-house lighting. Filmed in our studio for Neutrogena with Rachael Taylor. Filmed in our studio for SBS series ‘Legally Brown’. He’s not a real doctor but that won’t stop him testing your ear speed (or referring to a manual when he’s not sure what body part to check). Filmed in our studio for FCS. Filmed in our studio for All Australian Beach Body app with Sally Fitzgibbons’. Discover strength, confidence and your ultimate body with fitness programs designed by professional surfer Sally Fitzgibbons! Train like Sally in the AABB app – available to download now on the google play store. Production: Tyler Bell & Sam Page. Director: Kearon de Clouet. Compositing: The Construction Site. Post by Vicks Australia & New Zealand.